You'll want to sign up for the "Genealogy 101: Everything you need to know about researching your family history" which will be presented on Tuesday, November 13 at 2pm EST/7pm UK. 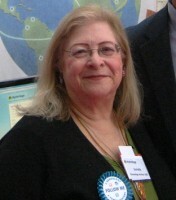 Featured presenter: US genealogy adviser Schelly Talalay Dardashti. She knows her stuff, understands the Genealogical Proof Standard, has expertise in Jewish research, and is sure to get you around those proverbial brick walls. This is billed as a real Q & A session, so come prepared to get Schelly's best advice.